STAR WARS AFICIONADO WEBSITE: 'STAR WARS' AT 40: TIGHTENING THE SEARCH NET! 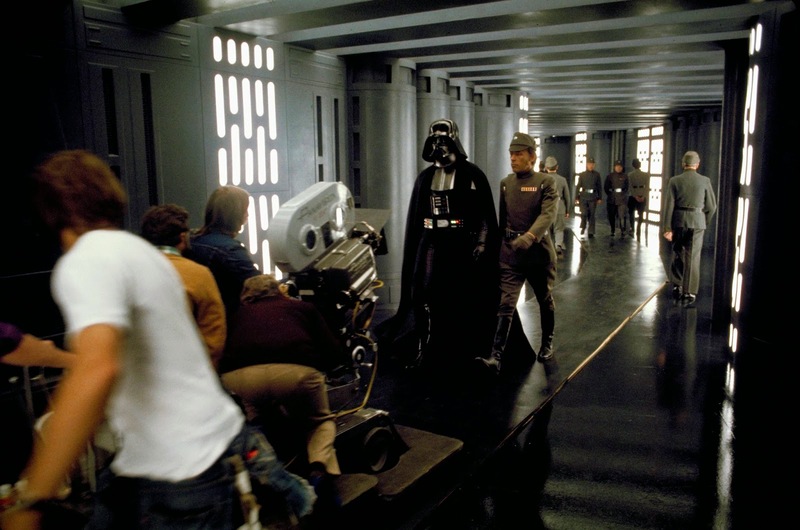 Filmed as part of a busy day on April 27th, 1976, with scenes set across several Death Star interiors at Elstree Studios, came this ultimately deleted sequence involving an Imperial Commander (Leslie Schofield) informing Darth Vader about the increased volume of Stormtroopers now hunting for the fugitive droids at Mos Eisley spaceport. 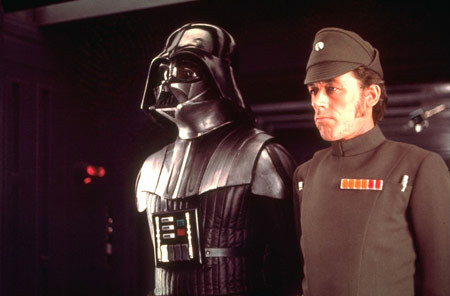 Rehearsal image of a cape-less Prowse with Schofield.